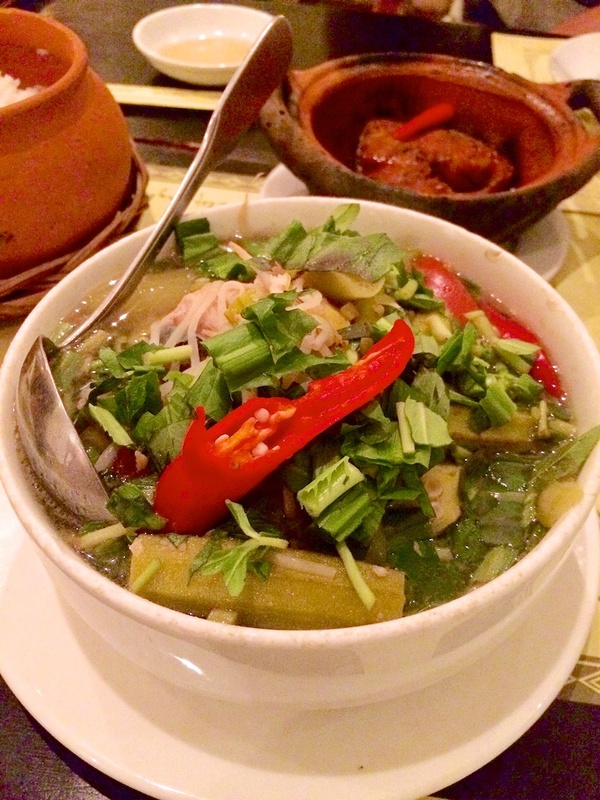 This is the quintessential true taste of home cooking for the Vietnamese people, although, we are eating this at a restaurant. It’s basic, but extraordinary at the same time. 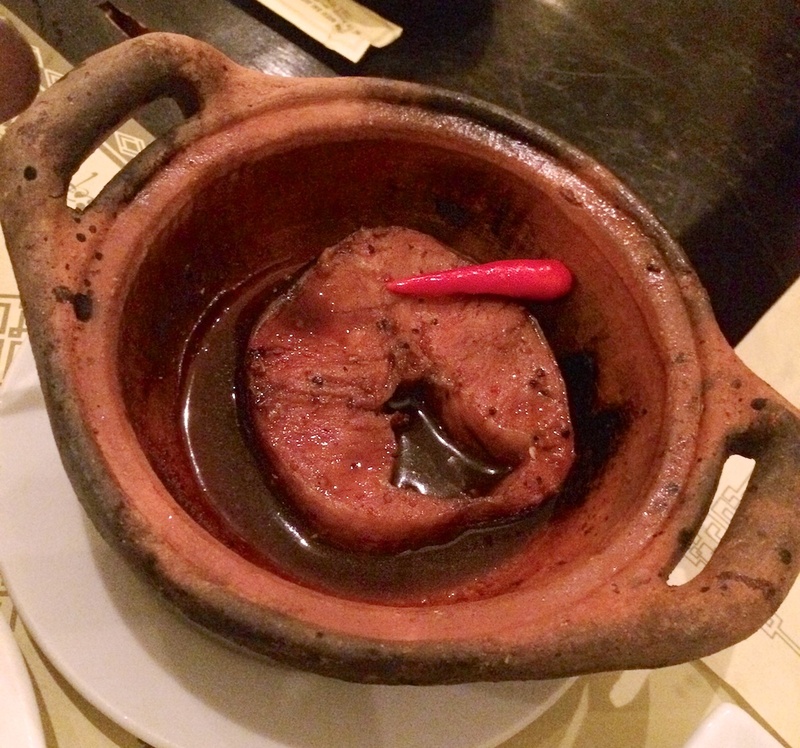 The caramelized fish in the clay pot is simmered with fish sauce, garlic, and coconut juice/soda. It’s salty, slightly sweet, and mildly spicy (optional). The sauce is concentrated and has a strong aroma. 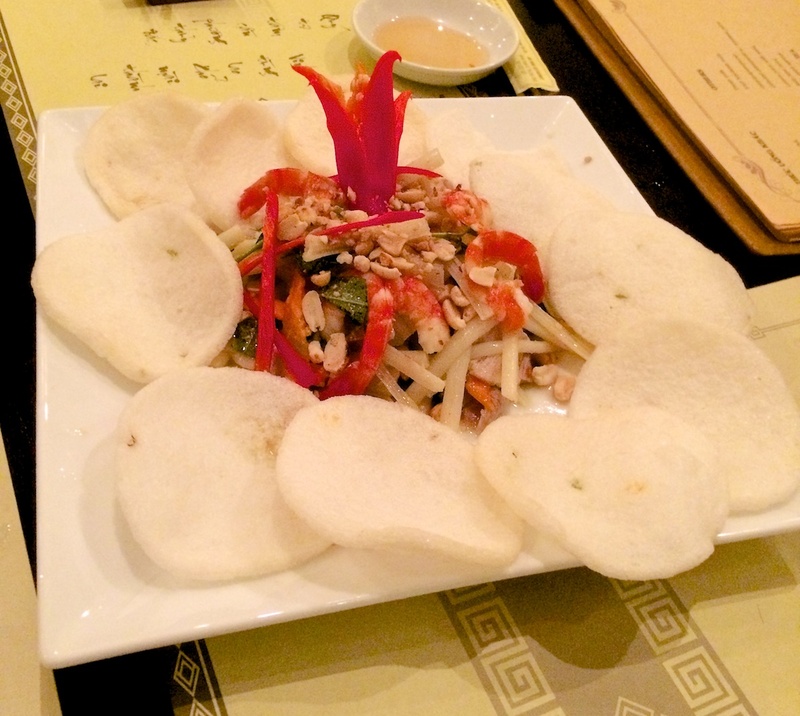 It’ll make you want to have an endless bowl of rice to savor every last bit of it. To balance out the saltiness of the fish dish, the sweet and sour soup is the perfect companion. The soup is packed full of vegetables and herbs. The sweet and sour combination comes from the pineapples, tomatoes, and tamarind. 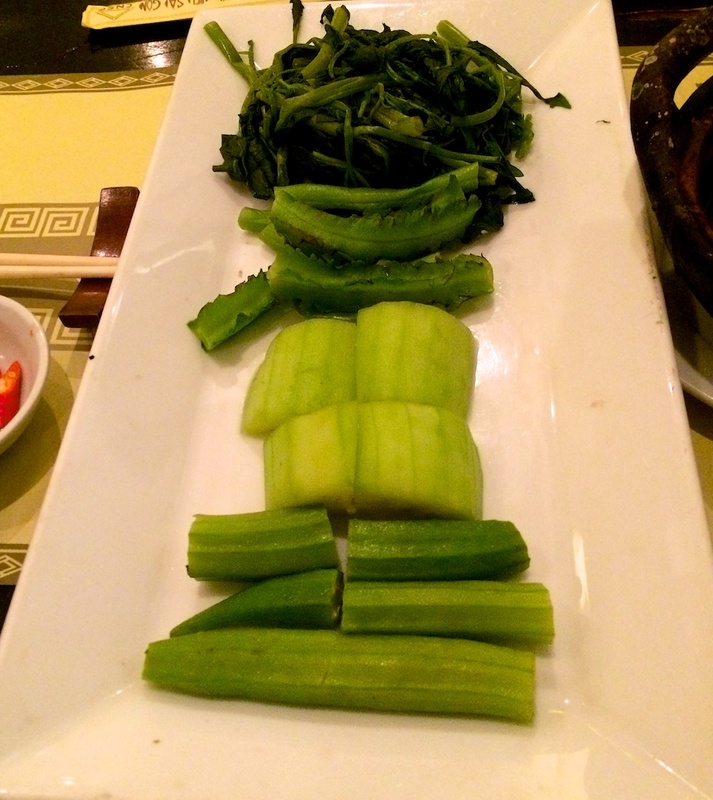 Other vegetables that are typically made with this soup are okra, bean sprouts, and Indian taro (giant elephant ear). Also, this restaurant has over 100 selections, so it’s a good place to eat any last minute dishes that you didn’t get a chance to try.